Remember back in high school when you used to think, “when am I ever going to use all of this math I have to learn?” Well, that time has arrived. 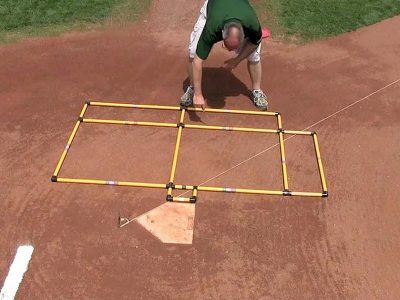 Math & geometry are all over sports fields. 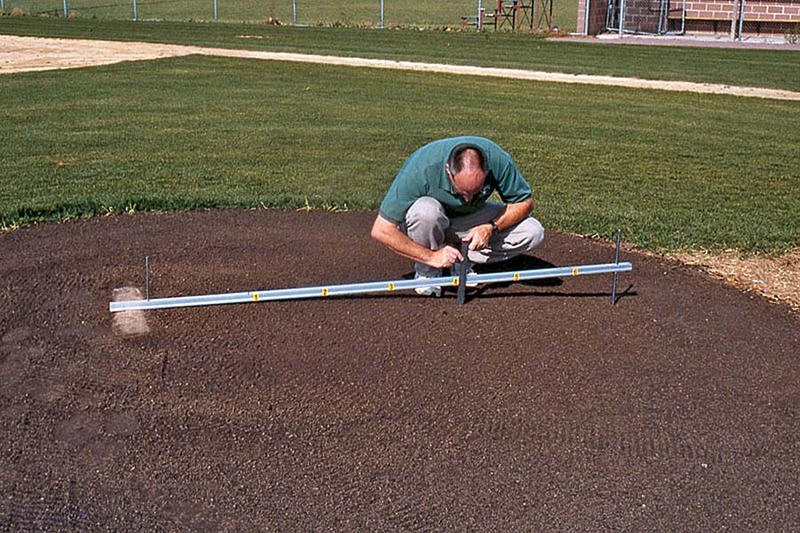 Various measuring tools are needed to keep fields to their proper geometric sizes and shapes. Let’s start with measuring tapes. 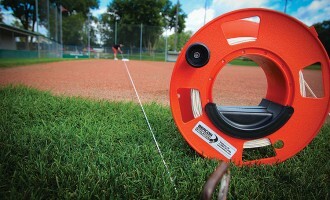 Most are fiberglass tapes typically 100, 200, or 300 feet long. 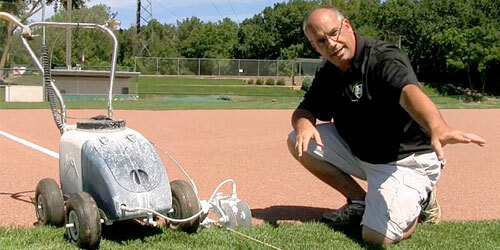 But, be warned: fiberglass tapes can stretch over time and that can lead to erroneous measurements. 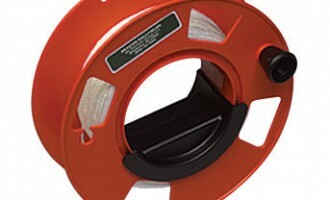 A nylon-coated steel measuring tape, like the one pictured, is your best bet. 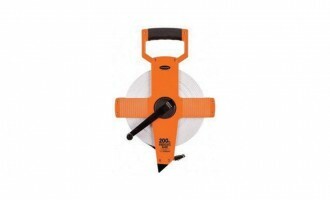 The steel won’t stretch and the nylon coating helps prevent rust. 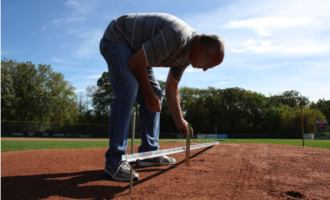 This specialized measuring tool is used to check for proper slope on the front of the pitching mound. 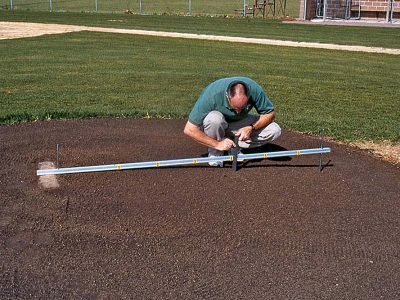 A mound slope gauge is also helpful in accurately setting up the subgrade for installation of unfired clay brick on the front slope of the mound. 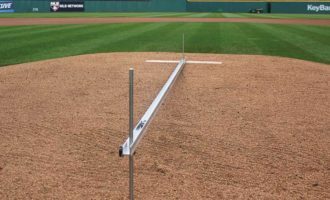 By using the slope gauge to set the subgrade for brick installation, it will ensure the slope of the subgrade will perfectly mirror the finished slope of the mound. 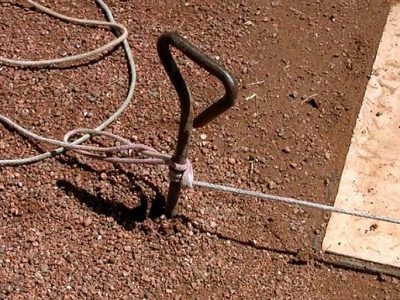 When lining your field, these are a huge time saver. 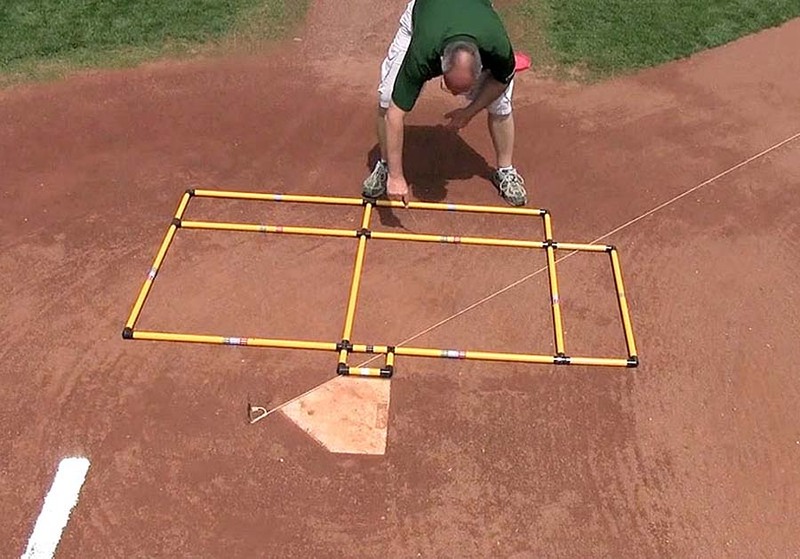 And, they make sure you accurately align the batter’s box to home plate. 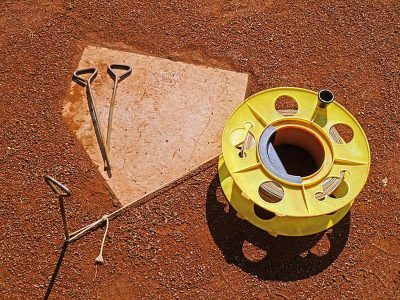 The size and positioning of the batter’s box is determined by the age of the players and whether baseball or softball is the next game to be played (visit our online field dimensions guide for help). 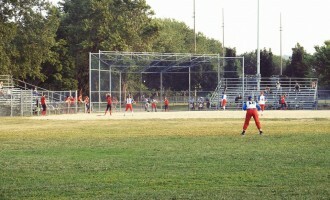 Some templates are for only one size box, while other templates are able to handle multiple sizes of batter’s box for various levels of play. 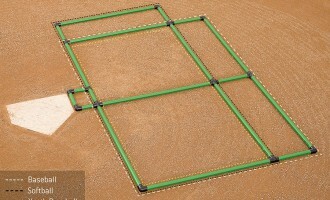 Be sure you know what size batter’s box you need for each field you maintain. 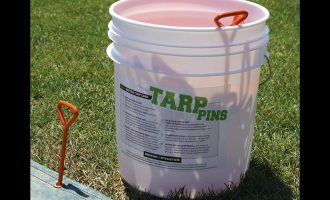 These are mainstays in the groundskeeper’s tool shed. 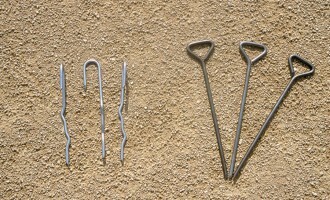 You’ll use these almost on a daily basis. 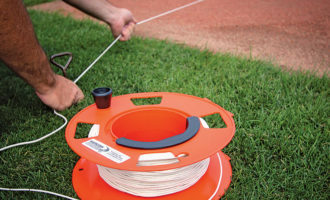 For a stringline, solid braid cotton cord works best — like awning cord or clothesline. 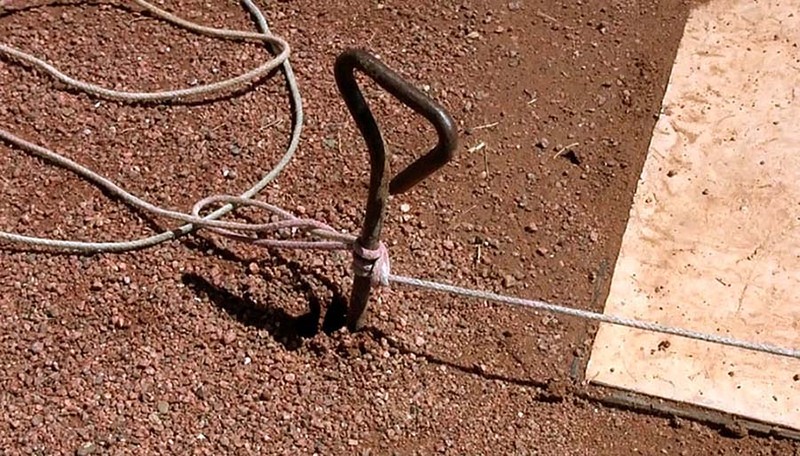 Be sure to use string that has a thick enough diameter for easier handling and better visibility. That’s the scoop on layout & measurement tools you’re likely to use. 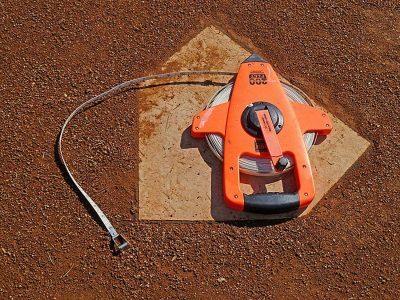 In the next section we’ll take a look at some specialized tools before getting you out on the field for some hands on training. Take a quick look back at this section to review if you need to before moving on to the next lesson.